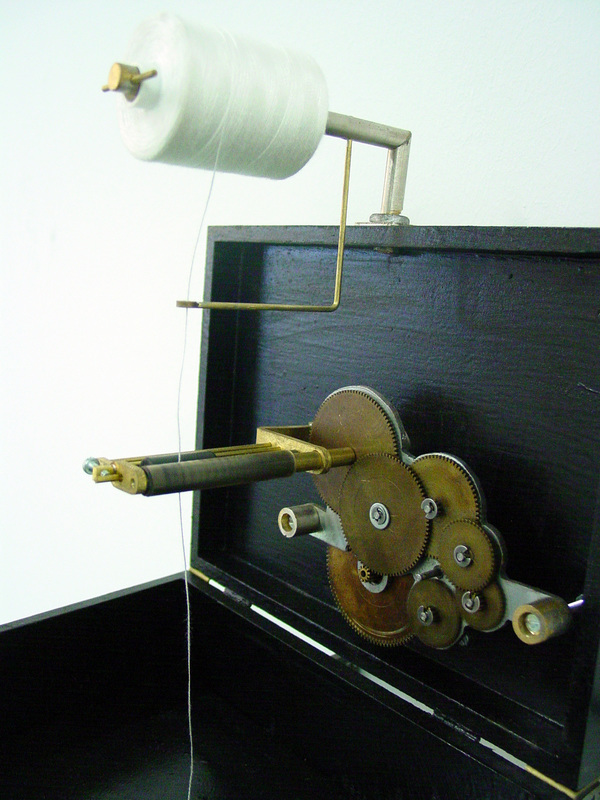 ​A small fast rotating motor is slowed down so much the speed is not visible anymore. With that unseen speed it pulls down a string from a spool and drops it in the case below. 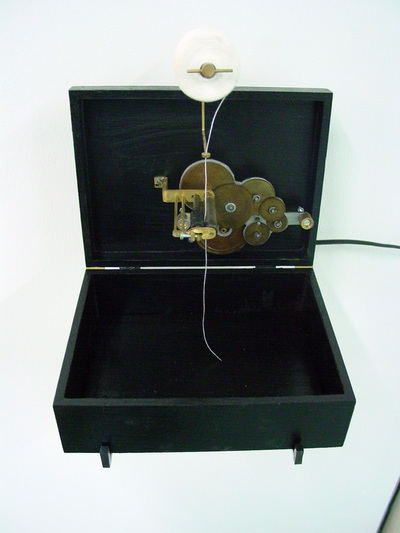 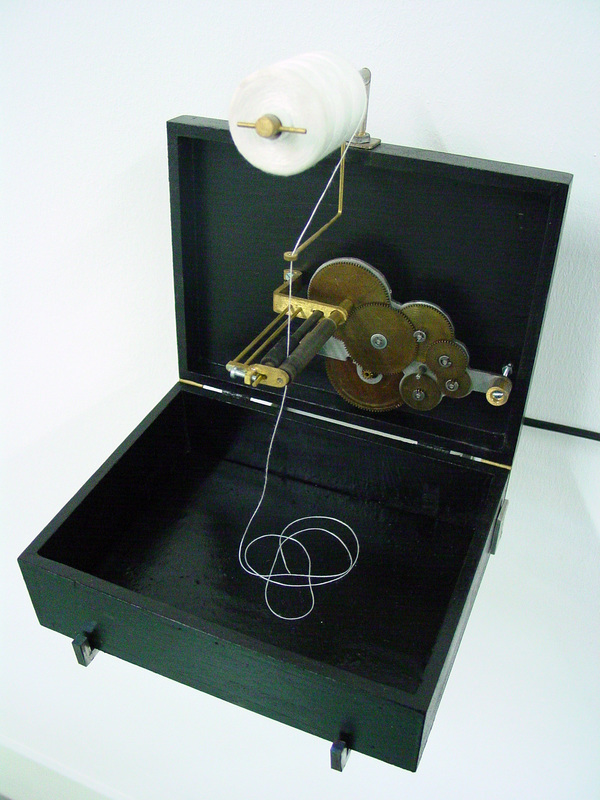 The spool contains the time to come, the case filled with string the time that has passed.